Looking for a FUN Couple's Night Out in Tucson? Want something really special? 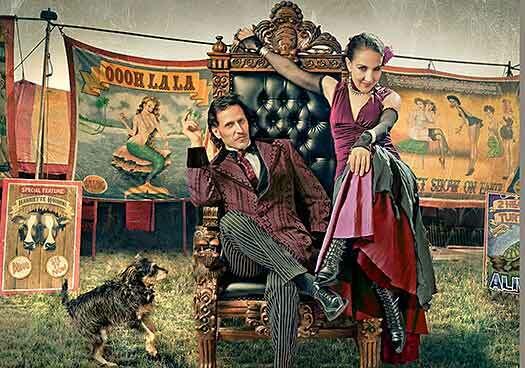 Have fun with Carnival of Illusion, a Vaudeville-inspired magical theater show! You & your date will be transported back in time when magic flourished as an art & was practiced in the salons & "parlours" of the wealthy. 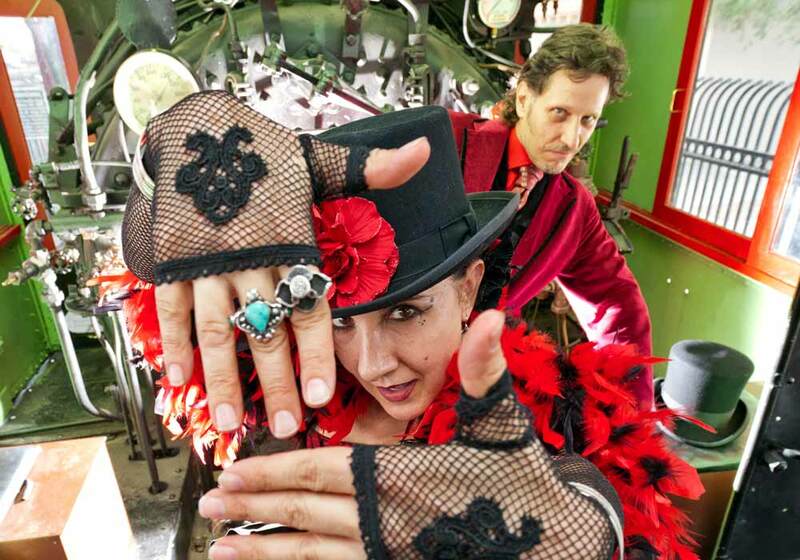 Carnival of Illusion is one part mystery, one part magic, & one part OOOH La La! How about that for a fun couple's night out? Get your tickets now! Carnival of Illusion is the perfect choice for a couple's night out with your special someone. Why is that? Well for one thing it is fun, unique and a wonderful shared experience. And if you are celebrating a special occassions, we always give a shout out to you and yours, so whether it is your honey's birthday or it is your 50th anniversary date, we will be sure to recognize your special day. In Tucson you can add dinner to the mix by visiting one of downtown Tucson's many restaurants. There's cuisine with great local flavors and exotic food like Thai or Asian, and there's something for every budget. With two shows a night to choose from, you can plan for an early or late dinner. Just remember the show is about 100 minutes of fun and so plan accordingly, and its a good idea to make reservations if planning on eating out. Our show always starts on time! Our modern practice of dating is certainly a rather new-fangled thing. Think back to the late 19th century when meeting your intended partner was more of an arrangement than a romantic option. The early 1900s saw the idea of dating blossom, but dates were most often attended by the boy, the girl and the chaperone! By the 1920s you could actually take your date to a movie, or maybe even go for a ride in a fast car. The roaring 20s even included the possibility of dating more than one suitor. In the latter part of the century of course, dating didn't always or even usually lead to marriage, but was more about having fun and meeting lots of people. Of course we are now in the age of online dating where your date can be from almost anywhere, not just the boy next door. Some advice for a great first date? Just be yourself and trust your gut. It never lies! I have to say we were very impressed with your overall performance, talent, humor and (of course) illusions. You obviously love what you do and it shows. We were also very impressed with your genuine nature, gratitude and hospitality at the end of the show. A very refreshing gesture that we have not experienced in a long time. I liked how Roland and Susan fed off the audience and made us all a part of the show. If you're expecting a huge theater experience this isn't it- it's intimate and for us, that was what we loved. Compared to the price of dinner and a movie best value out there.